By Jaime Jenett, in response to yesterday’s post by Nina Jacinto, Loving So Much It Hurts. I loved your post about why you’re not sure you could be a Mom. But there’s one part I have to disagree with. After listing out all the reasons you are apprehensive about parenthood, you say, “I realize that this list is a testament to how NOT ready I am to be a mother.” I couldn’t disagree more. I think every woman, mother or not, should have a list of all the reasons why it might not be a good idea to become a mother. The decision to parent is sheer insanity. I grew up thinking that having kids was the last thing I ever wanted to do, for many of the reasons you listed. The idea that I would intentionally choose to have a narcissistic, demanding, messy human in my life, who would be completely dependent on me made me want to run from the room screaming, with my arms flapping, cartoon-style. I couldn’t think of anything I wanted less in my life. Then I met my wife. She was sure she wanted kids. Like, really, really sure. And I was sure I wanted to be with her. Like, really, really sure. Which left me faced with the reality that I was probably going to become a parent some day. After years together and hours of talking through why I thought parenting was a horrible idea, I realized I was most afraid of having to do it all myself. My parents divorced when I was 5 and had joint custody. While they did a great job raising me, watching my parents try to juggle their full lives and careers and me without another adult in the house looked…well…kind of miserable. I decided I could get on board with this project if my wife would take the lead. And the understanding that if we had a kid and she died or left me to raise that child alone that I could kill her with my bare hands. “It’s alive.” I was in complete shock that I was irrevocably, permanently, solidly a parent. Every week that went by, I was a little less afraid and felt a little less like an imposter but it was slow going. Then, at four months old, Simon got critically ill. We spent months in the ICU and it became clear that if Simon ever did get out of the hospital, he would have a lifetime of health and developmental challenges. This was totally not what I had in mind when I said I’d take a shot at parenting. Then, slowly, my worst nightmare began to take shape at work. While Simon was still in the hospital, my boss started turning up the pressure. I realized she was essentially asking me to choose between my career and my family. A core fear of mine that had kept me from wanting to be a parent was that I would not be able to prioritize my child over my work or that I would resent having to choose. And then, I was forced to choose. To my complete shock, I chose my family. I quit my fast-track job and found something else that would work better for my life as a parent of a child with special needs. It’s not something I could have ever imagined I would do before Simon was born but when it came down to it, I did not have a moment of hesitation before making that decision. Something about that process solidified my love for Simon and my identity as a mother. It was a question answered. 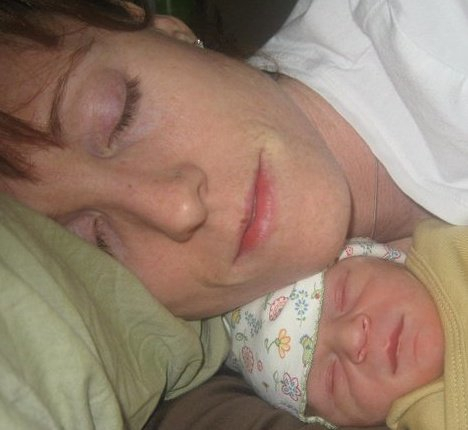 My journey to becoming a mother was not without doubts and fears. It’s not the path I thought I would take and it doesn’t look at all like what I imagined. There are times that I long for my simpler, less harried, pre-mothering days. Some days I feel a furious envy of child-less women my age who go to parties and evening exercise classes and have disposable income. I also feel incredible compassion for my sisters who are child-less by choice. I know they feel the pressure from society to get in the Mother box with the rest of us. This Mama’s Day I want to affirm all the women who choose not to become parents. I support your reasons no matter what they are. To brave, thoughtful women like Nina who are afraid they won’t be able to handle the vulnerability and intensity of loving a child, I can only say, sometimes loving so much it hurts can break us so wide open that we find delicious pieces of ourselves we never knew were there. Jaime Jenett is a femme dyke, public health worker, mother, and lover of all things food related. She and her wife Laura have a fantastic blog about their experiences as parents of a kid with special needs. 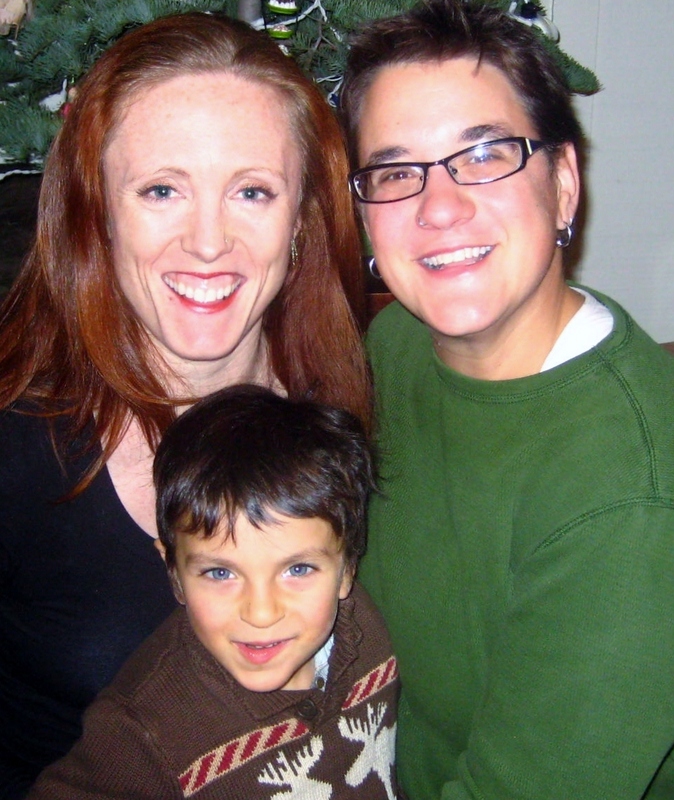 Their family was recently featured in a short film as part of "The Devotion Project," a series a short documentary portraits of LGBTQ couples and families, chronicling and celebrating their commitment and love. This blog is part of Strong Families Mama’s Day Our Way blog series. Strong Families is a national initiative led by Forward Together. Our goal is to change the way people think, act and talk about families.